One Grandview family is hoping to change the way you hang your clothing with their invention. 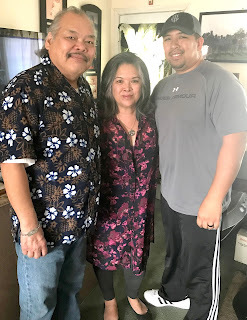 Majigeez (pronounced similar to thingamajigs) are flexible attachments that Jessica Del Rosario and her husband, Larry San Nicolas, came up with to prevent shoulder bumps and clothes falling off of everyday hangers. Over the years, Del Rosario and her family continued to struggle with hanging their clothes properly, and instead of using hangers, she noticed her son would just stack his clothes on a table. Later, when another sibling was in junior high, Del Rosario noticed that her daughter’s clothes were all over the floor of her closet and not hanging up where they should be. It was then that Del Rosario decided to go back to the drawing board for her hanger modifications. From that point on, the family got busy making a prototype. Together with their son, Frank Arceo, they came up with the hanger attachments. Using materials around the house, San Nicholas came up with the first prototype that satisfied both Del Rosario and Arceo. Majigeez were born. With a background in drafting and design, Arceo worked with a manufacturer to come up with several different working prototypes that lived up to his mom’s idea and his dad’s model. During the design phase, they determined what current hangers were lacking. They discovered that hangers are rigid, too short for larger clothing; velvet hangers can cause bunching; toddler hangers are too small after a certain time; and wood hangers caused bumps in sweaters, leathers and jerseys. Their product is the only resilient and flexible hanger attachment in the world. Majigeez are the only attachments that will fit on almost every household hanger, and they adapt to the weight of sweaters, shirts, jackets, blouses, and delicates to provide a natural curve. By attaching Majigeez to hangers (velvet, store, plastic, wire, and toddler), users can get the most out of hangers they already have. The product prevents shoulder bumps, and provides added benefits of hang-drying wet garments, extending the length of hangers (men’s 7XL and women’s 4XL), holding garments up to 10 pounds, and maximizing the longevity of toddler hangers into adult sizes. The family has traveled to invention conventions, where their product was favorably received. While they eventually would like to seek out potential investors, Del Rosario said they hope to keep Majigeez in the family for as long as possible. Majigeez will be sold in pairs of eight for $19.99, and their online retail store will be launching soon. In the meantime, Del Rosario and her family hope to sell their product at different merchandise shows and events. For more information, visit their website at www.majigeez.com, or follow Majigeez on Facebook. After 40 years, England’s Auction in Grandview will host its final sale on Friday, February 16. Over the last four decades, hundreds of buyers from all corners of the metro have spent their Friday evenings with Mike England. In 1977, England, with his brother and father, purchased the auction business that began in 1960, at 1530 Duck Road in Grandview. Four years later, England purchased his family’s shares of the business. England’s Auction is the oldest operating auction house in Kansas City, a status that England is proud of. Early on, the auctions were twice a week, but eventually the sales were scheduled once weekly on Fridays. England’s four daughters grew up working in the family business, and he said the work is hard but never dull. He now sees the grandchildren of customers who used to come to the auctions years ago. Most weeks, England said he sees roughly 200 people on Friday nights, and some of them are repeat customers who have reserved seating. England’s Auction hauls the contents to their facility and prepares them for the weekly auctions. 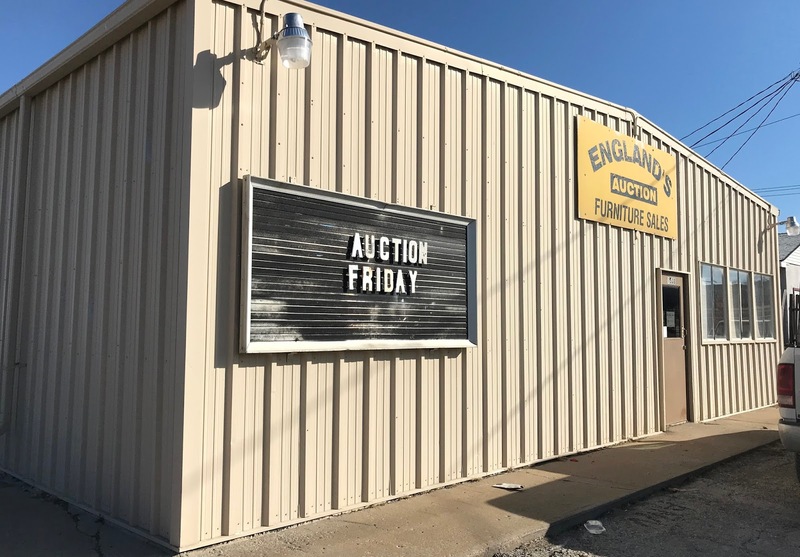 Each week on Mondays, England has walked into a nearly-empty building and is tasked with filling it with auction items in three days. Items sold run the gamut from household items to furniture. England says they don’t sell anything pretentious and it’s never been fancy. Some nights England’s has done $200,000 in sales, and other nights $4,000. He doesn’t plan to retire completely, and will continue to piddle with auctioneering now and again. With his children grown, he is looking forward to spending some quality time with his wife of 51 years, Sheila. According to England, his building has been sold to a local real estate rehabilitation company. As he prepares for the doors to close for a final time on Friday, England said that leaving his 40-year business is a little bittersweet because he built the company and it’s as if his best friend is dying. When people would ask England how business was doing, he would always say, “It’s as good to me as I am to it.” He believes that if he wasn’t good to England’s Auctions, it wouldn’t have been good to him. 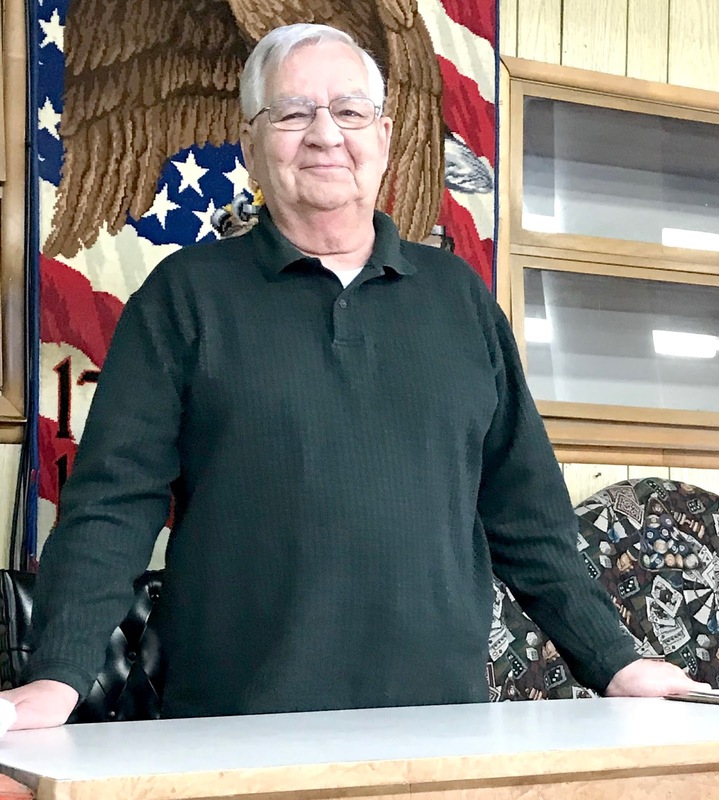 Many folks in the community have spent their Friday nights at the auction, and England’s business has certainly been good to Grandview for 40 years.